This is the story of Sharon’s work in one of my Interactive Groups. Sharon is a recovering alcoholic who had been sober for over a decade with the help of AA and therapy. In that time, she had worked through enough of her issues that she was not in much emotional pain. She was a successful management consultant, had some close friends, and an active social life. We all want to be liked; we all want closeness with others. To express these desires directly to other people puts us in a vulnerable position. We fear that they might not reciprocate, or they might even reject us or put us down. So we develop defenses against our own desires and the accompanying vulnerability. In an Interactive Group, I encourage people to reach out to connect with those group members they are drawn to—to take the risk to make themselves vulnerable in this way. The group helps people to become aware of their defenses against vulnerability and risk. If they defend by being nonchalant, someone in the group will probably point it out. If they defend by being judgmental and arrogant or by being distant and cold, they will probably get feedback about it. This gives people a chance to discover how they are defending against their desires, and to try out different behavior. When Sharon joined the group, she had a tendency to defend against her softness and openness. She didn’t feel safe to show her desire for other people for fear of being rejected or shamed. Instead she adopted an internal stance of arrogance and judgment. “There’s something wrong with you. I’m not sure I’ll let you in.” It was a way for her to feel better about herself. She also pretended not to need others. “I don’t care. I don’t need you.” She wasn’t aware of these attitudes and rarely expressed them, but it would leak out in little ways, and they kept her from being vulnerable. As the group developed, Sharon got feedback from time to time when her judgmental style would leak out. She was very aware and dedicated to her growth, and she had a courageous way of acknowledging difficult things about herself without being defensive. So when she got this feedback, she was not only willing to acknowledge that she had been judgmental but also to explore what she was defending against. She often discovered that hidden beneath the judgment was a desire to make contact with the person. Click http://personal-growth-programs.com/an-interactive-group-story/ to read the full article. 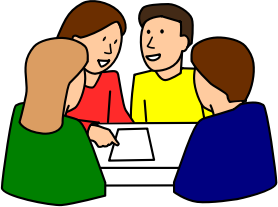 The Interactive Training Group is for therapists and group leaders who are currently leading a group or who plan to lead one in the future. It is a full-fledged Interactive Group that also includes training and supervision on leading Interactive Groups and IFS groups. Click here for a complete description of Interactive Groups. This webinar introduces both regular Interactive Groups and the Interactive Training Group. Learn about how Interactive Groups work and how they can help you grow in the way you relate to others. Learn about how the Interactive Training Group operates and how you will learn to be an effective group leader/therapist. I am very excited to announce that IFS is now posted on NREPP as an evidence-based practice. NREPP is the National Registry for Evidence-based Programs and Practices, a national repository that is maintained by the U.S. government’s Substance Abuse and Mental Health Services Administration (SAMHSA). Interventions listed in NREPP, now including IFS, have been subject to independent, rigorous scrutiny and are deemed to show significant impact on individual outcomes relating to mental health. A comprehensive application requesting the inclusion of IFS on NREPP was based on a proof-of-concept study by Nancy Shadick, MD, MPH and Nancy Sowell, MSW, LICSW. The longitudinal randomized clinical study, which involved 70-some patients in an IFS treatment during 36 weeks with periodic follow-ups including 12 months post-intervention, published in August 2013 in the peer-reviewed Journal of Rheumatology. The patterns and capacities are arranged in dimensions, where each dimension corresponds to an area of psychological functioning. There are interpersonal dimensions, such as Intimacy, Conflict, and Power. There are personal dimensions, such as Accomplishment, Pleasure, and Self-Esteem. Each dimension contains two or more patterns and also two or more healthy capacities arranged in a way that makes clear which capacity is a healthy version of each pattern, and which capacity is need to transform each pattern. You can create a client’s psychological profile by charting which pattern(s) and capacity(s) they have in each dimension. Or you can encourage a client to do this on their own and share it with you. This blog is a more technical than usual and aimed at IFS therapists. In IFS a part is “blended” with someone when they ARE the part as opposed to being in Self. This could mean that they feel the part’s emotions, they hold its beliefs, or their behavior in the world comes from this part. Recently I have realized that these represent three different modes of blending, and that a part may only be blended with someone in one or two of these ways. Furthermore, someone can be blended with two parts at the same time using two different modes. 1. A person is feeling the part’s emotions to such an extent that they don’t feel much else. For example, a sad part takes them over so that they are flooded with sadness. 2. A person is identified with the part, in that they hold its beliefs and see the world from its perspective. For example, a man is blended with a paranoid part that believes that people are out to hurt him.